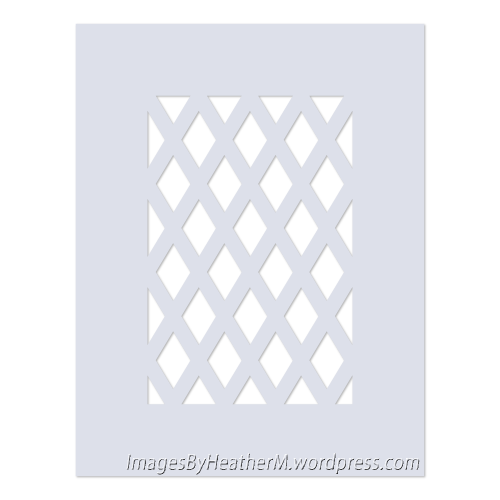 Here are the files for the lattice card front that I used for my purple pansies card. The topper is sized for the front of an A2 card. I am now adding an embedded image to my svg files due to some problems that I have had with my files being used inappropriately. This will not cause any problems in SCAL1 or SCAL2. The image will show in SCAL3/eCAL. Either hide or delete that layer when you use the file. This entry was posted on Friday, June 14th, 2013 at 11:53 pm and is filed under DXF, SCAL, SVG Files. You can follow any responses to this entry through the RSS 2.0 feed. You can leave a response, or trackback from your own site. Thanks for posting this link over at yahoo Heather….wonderful! love this file as well.. I really love all your designs.. 🙂 TFS your creations.. Thank you for the free cut files. Gorgeous background – thanks for sharing! Thank you for the file…it will be such a pretty background for all sorts of cards. I absolutely love lattice and now I have your great file. Thank you so much. Thanks Heather for the lovely lattice card topper.